Seat tops are available in the same four colors as the corner shelves. 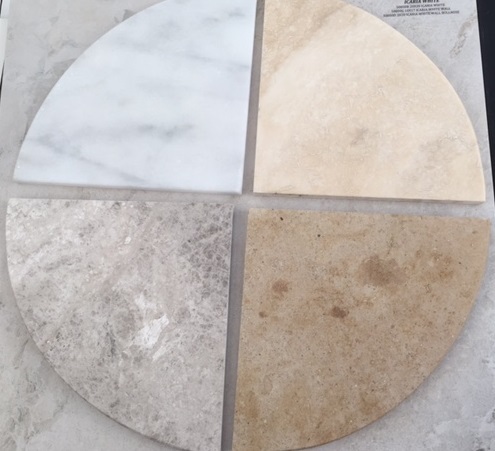 The colors are White Marble, Gray Marble, Ivory Travertine, and Walnut Travertine. 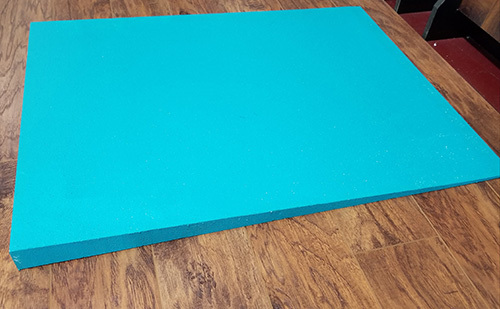 Apply polymer modified thin-set mortar to both the wall areas and the floor area of the seat that is going to be contact with the wall and floor. Firmly attach the seat into the wall and hold in position tightly. Apply Joint Sealant, filling the gap between the seat-wall and shower floor. Apply modified thinset to all tiling area. In new shower installation, bonded waterproof membrane can be applied on the surface of the edge before tile or stone will be installed. Install your tiles or stone. 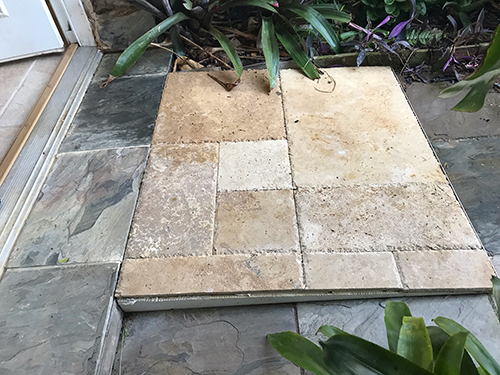 You can tile the top seat area yourself or purchase a pre-cut white marble or travertine seat top. 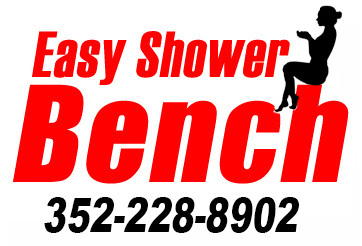 The shower benches are ready for installation in an existing shower or in new shower construction.